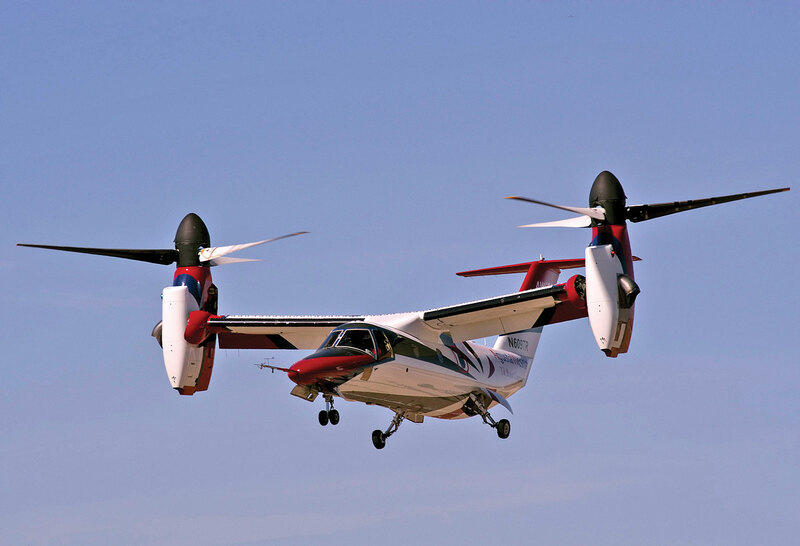 Over the course of 10 flight hours in March and April, an AW609 tiltrotor test aircraft made more than 70 power-off conversions from airplane to helicopter mode. AgustaWestland completed flight envelope expansion trials for the 609 in December and is currently assembling its supply chain for the aircraft in preparation for serial production. The manufacturer is in the process of adding two more aircraft to the flight-test program for a total of four. Now in final assembly, the third test aircraft is slated to fly by year-end. The AW609 is being developed under the FAA’s new criteria for “powered lift” vehicles, which incorporate portions of the Part 29 helicopter rules. AgustaWestland expects to receive certification in 2017. “When you have a single engine failure in helicopter mode, or 75-percent nacelle, you stay in helicopter mode and come back and land or fly to the alternate. In airplane mode, you stay in airplane mode, zero-percent nacelle, and you keep going with the remaining engine. If both engines quit you remain in windmilling, gliding flight. When you select a landing site you convert to autorotation–95-percent nacelle–and take it down to the ground,” Venanzi said. Emergency reconversion detents for 75 and 95 nacelle are located on the thumb wheel, which is also the aircraft’s power lever. Once the detents are entered they speed up the nacelle pitch change from the normal three degrees per second to eight degrees per second. Also, when both engines fail, software automatically returns the flap setting to zero, the optimum to preserve airflow to the rotors for autorotation. There is a brief period of no airflow through the rotors during the transition from windmilling to autorotation that produces rpm droop into the mid-70 Nr region. However, Venanzi said that rpm must droop below 70 percent for the rotors to become unrecoverable. “There is no way the rotors are going to droop that low,” Venanzi said. Nevertheless, “we have developed a technique of making small pitch changes between 60- and 75-percent nacelle” that minimizes droop into the mid-80s range, he said. From there, rpms rapidly recover to 95 to 100 percent, depending on center of gravity and weight. During testing, autorotations were performed from the 609’s mtow of 16,800 pounds down to 14,000 pounds throughout the full c.g. range. The flight control system automatically adjusts the aircraft to maintain 100-percent Nr during an autorotation, eliminating the need for pilots to adjust the collective pitch as they would in a traditional helicopter. “The flight control system is always trying to govern 100-percent Nr. That is something that comes in handy at the bottom of autorotation when flaring, when the Nr tends to go above 100 percent (in a conventional helicopter). The 609’s control system holds it at 100,” Venanzi said. During flight-test, autorotations were initiated at 7,000 feet agl. Transitioning from windmilling to a steady, fully developed autorotation to safely make a landing spot requires approximately 3,000 feet of height, Venanzi said. The maximum sink rate was 3,500 feet per minute. Estimated forward speed at touchdown is 45 to 55 knots. AgustaWestland did not perform autorotations all the way to touchdown but arrested them at 3,000 feet agl, where a VSI reading of zero was observed for up to five seconds. In an actual autorotation, the flare would be initiated at 200 feet agl. The company did perform autorotations all the way to the ground in the 609 simulator and found that the actual aircraft behaved more benignly than the sim. AgustaWestland is beginning flutter testing and finishing the software to enable one engine inoperative (OEI) training in the aircraft without having to shut down an engine (the OEI switch). Further flight-testing to validate performance with various payloads will also be on the agenda this year, but most of the flight-test heavy lifting has been accomplished. “The program has made a lot of achievements,” Venanzi said.